Such a beauty! Gemstone focal is a striking Azurite with deep blues and striking greens. 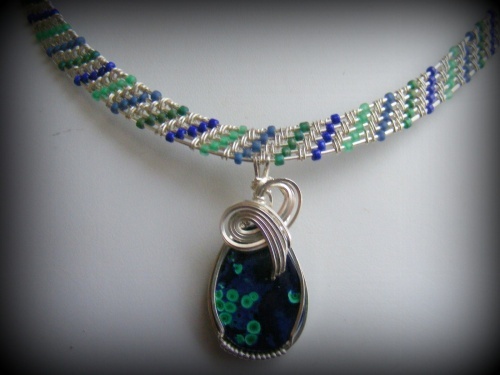 Embellished with a woven band with complimentari blues and greens. Back half of necklace is made with darb blue matching beads. necklace 18" in length with a fancy hook clsap all in sterling silver. One of a kind!